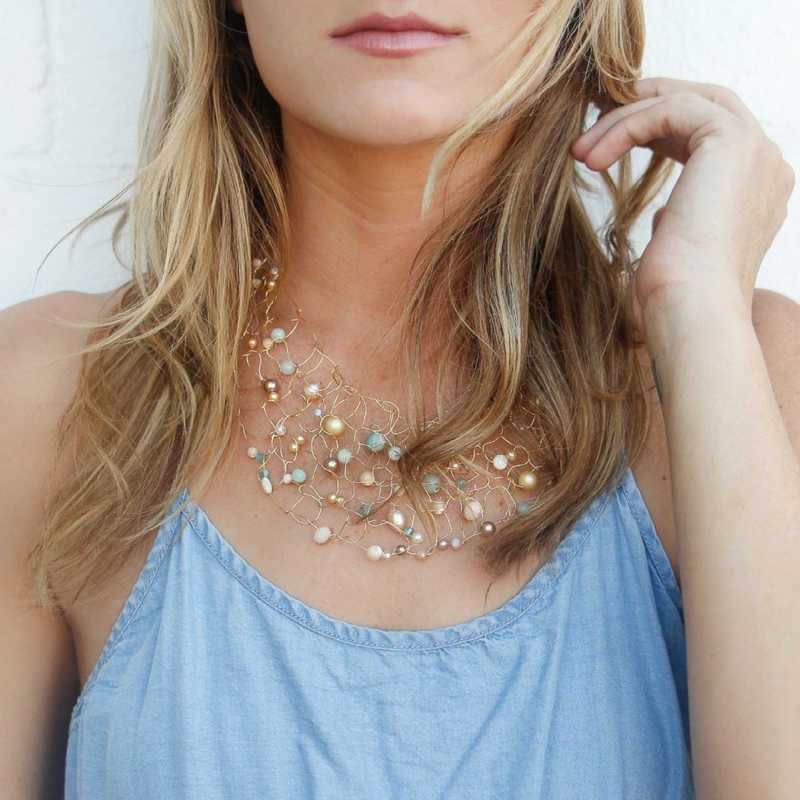 This gorgeous gold bib is sure to make a statement as it is dripping in semiprecious amazonite stones, crystals and pearls. The fine gold wire is hand knit - like a intricate net that captured treasures for your neck. The bib is adjustable in length from 16-19" and at it's widest point is about 3-4" of netting. This necklace is new to the lapisbeach line and there will be more wire and stone combinations to come. If you have a special request - please email me and I will be happy to design a custom bib for you.